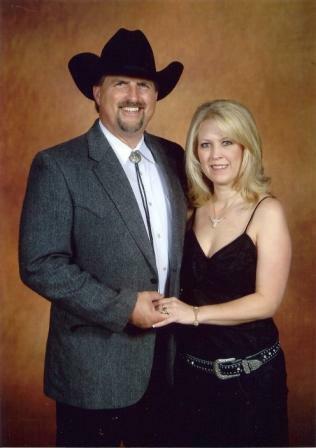 Dear Run Land and Cattle Company is proudly owned by Douglas and Cynthia Dear. We love breeding Texas longhorns, a true western heritage icon, and are determined to only breed premium registered longhorns. Our longhorns are an extension of our family and we love them dearly. They are our therapy after a stressful day and we look forward to them greeting us when we arrive home. They each have their own special personality, just like our children, and there's something magical about hand feeding a 1,000 pound animal with six foot long horns. Our crash course in longhorn breeding strategy, has developed from our many conversations with longhorn experts from coast to coast. This information along with the natural uniqueness, the longhorn breed possesses, gives our herd quality and eye appeal. New adjectives of description are required every time we look at them. In our travels we have always been impressed with the friendly nature of the many longhorn breeders we have met. No matter how busy they are, they will always stop and take time to discuss the breed and their animals. This quality and the professional associations that exist for the longhorn breeders make raising longhorns very attractive. We would like to thank a few of the people we have met along the way. A special thank you to Rick, Denelle and Cody Hager, Doctors Joyce, Janis and Scott Kimble, Darol and Linda Dickinson, Lynn Struthoff, Steven Zunker, Louis Christa, Robert and Kim Richey, Carol and Wes Chancey, Felix Serna, Dr. Bob Kropp, Gary and Donna Lake, Stan Searle, Brett and Darcy DeLapp and the list continues. Check out our links for sites and friends that have been very helpful. Call ahead and let us know you are coming, our animals are in different locations depending on the breeding season. Visitors are welcome by appointment.